A.C.T. 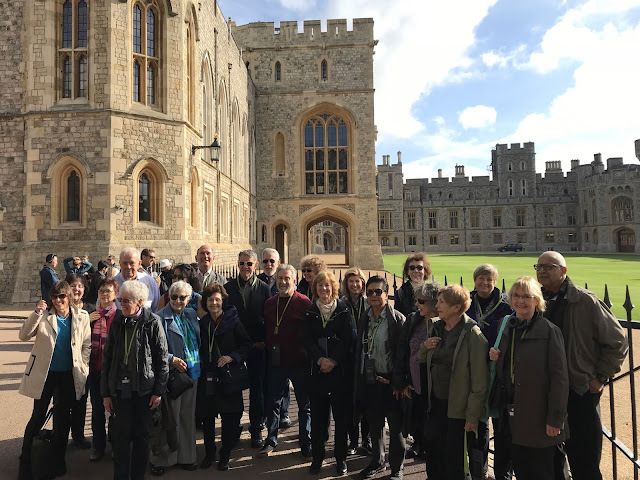 's London theater tour members enjoy a visit to Windsor Castle. Rubbing shoulders with actors and theater-makers from great productions is just one part of the experience. Guests stay at first-class hotels. They appreciate memorable meals—Ocean Prime on New York’s 52nd Street and The Ivy in London’s West End are two recent highlights. And they enjoy cultural visits on the side, whether that’s to an award-winning chocolatier, an intriguing city neighborhood, or the day-trip our London tour group just completed to Highclere Castle, with a private tour of the home of Downton Abbey. Next year’s tours are being planned now. Don’t miss out! Click here to learn more about A.C.T.’s upcoming theater tours to New York, the Oregon Shakespeare Festival, Ireland, and London.